After assembling the first-ever bee census in the state, it was determined that Michigan is the home of around 465 species of bees, and with this information, scientists will hopefully gain helpful data for preserving the essential pollinating insects. Such a high number may be surprising to most since people usually don’t even know the differences between honey bees and bumblebees. However, there are actually around 4,000 different types of bees in the United States, with some states out west having twice as many bees as Michigan. Even so, Michigan boasts a higher number than those in surrounding states, including New York at 447, Indiana at 420, Pennsylvania at 371, and Wisconsin at 391. “They’re mostly species that people wouldn’t know about, or maybe they’ve seen them on flowers in their garden and didn’t even realize they’re bees,” says Rufus Isaacs, who is an entomology professor with Michigan State University and a co-author on the paper for the Michigan bee tally. As to why many of these bees are so obscure, almost three quarters of them nest beneath the surface, laying their eggs and bringing pollen down below for their offspring. Others may take shelter in secluded spots like tree cavities. Given reports of many bee populations declining around the world, the act of tracking bees has a new urgency to it. Over 40 percent of invertebrate pollinators, mostly butterflies and bees, are at risk for extinction, according to the Intergovernmental Science-Policy Platform on Biodiversity and Ecosystem Services, which also lists likely causes as habitat loss, pesticides, climate change, and diseases. This is significant, given three quarters of food crops around the world rely at least partially on pollination. Studies within North America are said to be hampered by insufficient samples and a lack of additional information, per Isaacs and his colleagues. They also said that their census can provide a base for future researchers to use for measuring population trends within the state of Michigan. “Unfortunately, we don’t have a lot of consistently sampled areas where we can go back and say, ‘This was the bee community 50 years ago, and this is the bee community today’ and measure whether we see any change,” says Isaacs. With his team led by University of Manitoba professor Jason Gibbs, Isaacs and his colleagues built their tally from museum specimens, published literature, field observations, and database records. 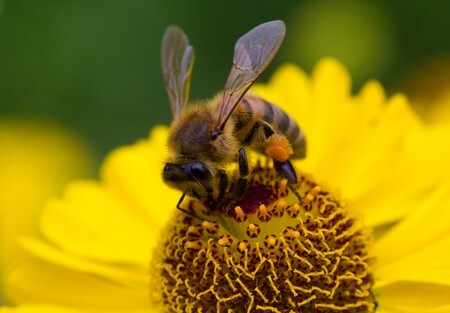 Gibbs offered the first observations of several bee types within Michigan State University’s campus horticultural garden while “citizen scientists” brought in pictures of others. Also, while 465 bee species were included, there were at least a dozen more possible species in the state that simply didn’t leave behind enough evidence of their presence, and, according to the census, there could be even more yet.